Pretty soon you’ll be able to beat the stuffing out of your favorite superheroes on the go. NetherRealm confirmed today that Injustice: Gods Among Us – Ultimate Edition will release for PlayStation 4 and PlayStation Vita. The game will also be available for Xbox 360, PlayStation 3 and PC. It was previously reported that the game might also release for Xbox One, but it appears that isn’t the case. The game will hit on Nov. 12, just a few days before the PS4’s Nov. 15 release. The Ultimate Edition will also include each bit of DLC released for the game so far, meaning Lobo, Batgirl, General Zod, Martian Manhunter and Zatanna will be included on disc, as well as Mortal Kombat mainstay Scorpion. It will also include 40 character skins and 60 S.T.A.R. Labs missions that were also originally offered as DLC. The game will also include the game’s soundtrack, which features music from Jane’s Addiction, Depeche Mode and AWOLNATION. This is hardly a surprising move, considering that Injustice was a success both critically and commercially upon its initial release in April and just about any game with halfway decent scores and a handful of DLC gets the “game of the year” treatment these days…and as a fighter, Injustice makes a perfect game to play in bite-sized portions on the go. 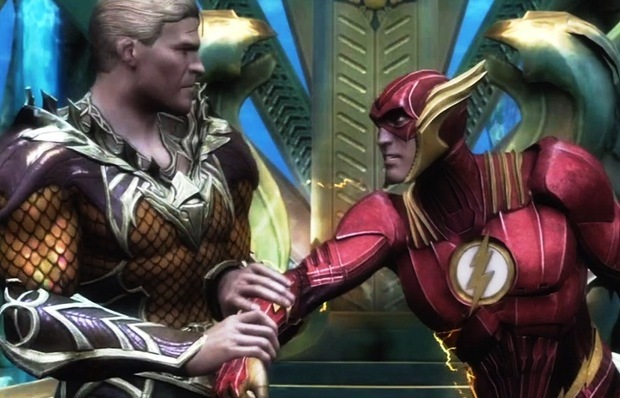 Injustice takes place in a version of the DC Universe in which Superman rules the world with an iron fist alongside heroes like Wonder Woman and the Flash, opposed by a team led by other heroes like Batman and Green Arrow (with a few villains thrown into the mix for good measure). The game earned healthy sales and generally positive reviews. Do you plan to pick up a new version of Injustice? Why or why not? Let us know in the comments.